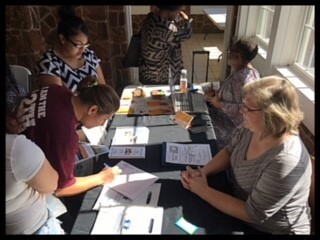 HEARNE, TX–Strengthening Families of the Brazos Valley participated in Project Unity’s Family Information Day on Thursday, February 28th in Hearne. More than 15 agencies and organizations provided resources in the areas of health, nutrition, finance, family and healthy relationships to parents who attended the event. Strengthening Families of the Brazos Valley is a project within the Family and Community Health unit of Texas A&M AgriLife Extension. The project seeks to provide couples and individuals with the tools they need to maintain healthy families. For more information about the SFBV project, please contact families.tamu.edu or Sfbrazos@gmail.com.